Cubanisimo Vineyards would like to congratulate you on your engagement! We have a beautiful venue to offer you for your upcoming wedding. 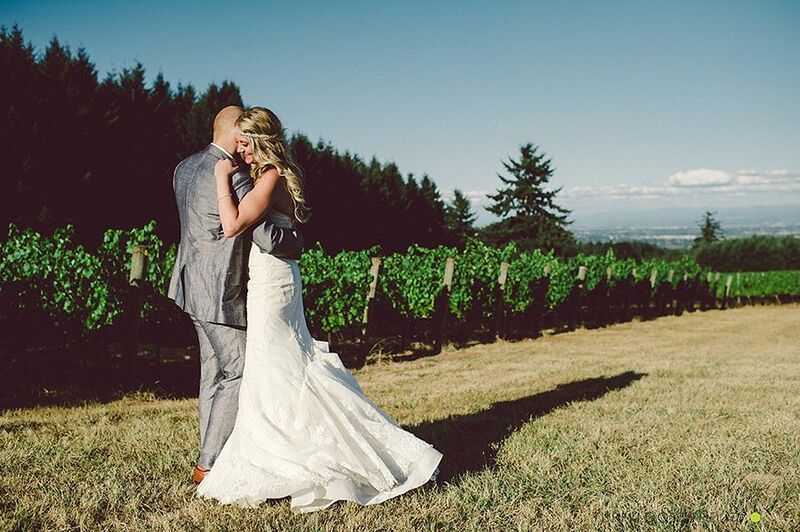 Our wedding site overlooks our estate vineyards as well as the Willamette valley, with wonderful views of Mt. Jefferson and Mt. Hood. 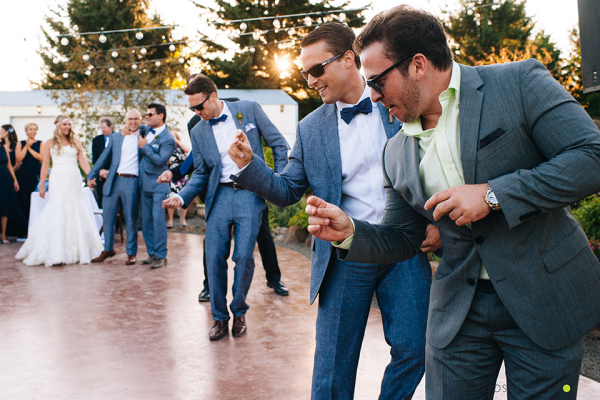 The reception area can seat up to 200 guests, with a beautiful dance area, palm trees and a small pond. View full wedding contract here. Capacity: Outdoors: 200 max; Indoor: 40 max. Weddings of more than 75 guests, $2,900 for the first 6 hours and $450/hr. thereafter. The rate will be applied to rehearsals, setup, wedding, reception and takedown. Chargeable time begins when the Wedding Party requires access to Cubanisimo facilities, needs the assistance of someone from Cubanisimo Vineyards, or when the Tasting Room must be closed to the public, whichever comes first, and continues until closing down of the facilities to the Wedding Party, including clean up. Deposit: $500 deposit required at time of reservation. Reservations are confirmed with the receipt of the deposit and finalized with receipt of signed Wedding & Reception Agreement. The deposit will be applied to the rates & fees upon contract fulfillment. 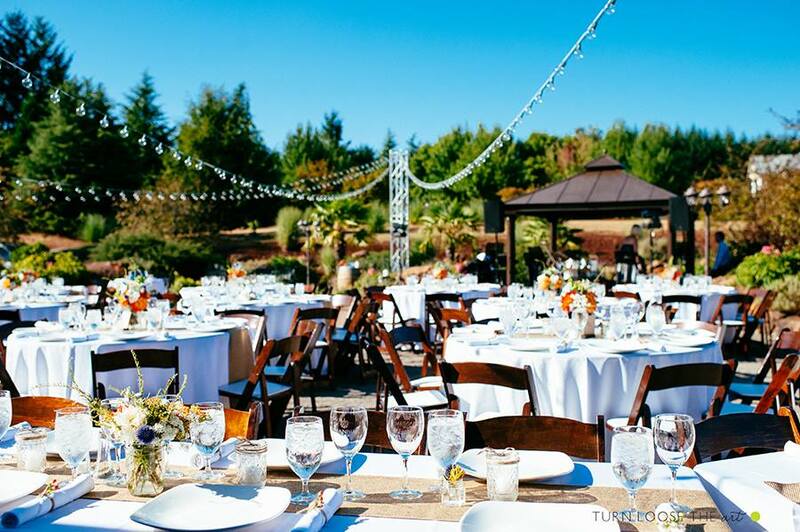 Amenities: Cubanisimo Vineyards has tables and chairs for up to 100 people outside. The tables may also be used as gift or buffet tables. Tables & chairs other than those existing at the facility must be provided and removed by the Wedding Party. Any cost for display fixtures, lighting, sound equipment or other fixtures is at the expense of the lessee. 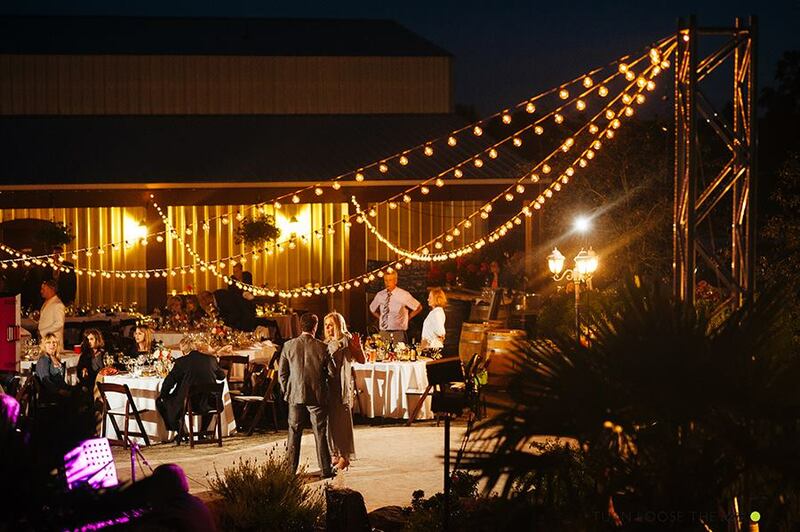 The Wedding Party is responsible for the setup and arrangement or any additional items not provided by Cubanisimo Vineyards (tables, chairs, linens, tents, flowers, lights, decorations, etc…). Catering: Catering to be provided by Wedding Party. Catering party is expected to take everything they brought with them when they leave. Equipment available for the caterer includes sink, a refrigerator, stovetop oven, a water hose, and electrical outlets. Cooking equipment will be kept outdoors; a covered area is available. Plates, glasses and utensils are to be provided by the Wedding Party. Cubanisimo Vineyards can provide names of previous caterers, familiar with our facility, upon request. Beverages: All alcoholic beverages are to be provided by Cubanisimo Vineyards. No outside alcohol or liquor is permitted. Wedding Party must notify Cubanisimo Vineyards of specific requests such as champagne, beer or soda at least 4 weeks prior to the event. Alcoholic beverages are limited to beer & wine. 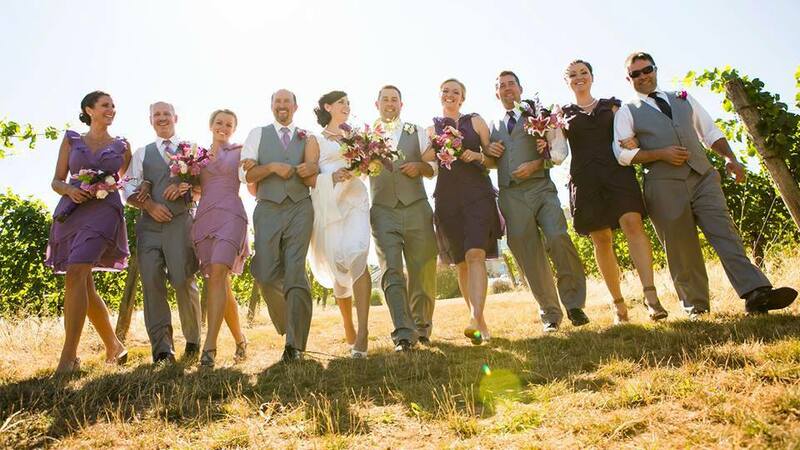 The Wedding Party or Catering party may provide non-alcoholic beverages. There is a minimum purchase requirement of 1 case of Cubanisimo Vineyards Wine for every 50 guests. Cost of the wine is at the published retail prices. After the minimum is met, Cubanisimo can offer a no-host bar, or an open bar. There is a $20 restocking fee if you do not use at least 50% of specially ordered alcoholic beverages such as beer and sparkling wine at your event. Cubanisimo charges $5 per beer for most beers. Kegs start at $275 and increase based on the beer selected. There will be a $125 service charge assessed for all keg rentals to cover the OLCC approved server and delivery fees. Final Payment: Due at end of reservation period. Final amount due will include the rental fee, beverages, table & chair rental fees, and clean-up fees, minus the $500 deposit. Refunds: If you cancel before 3 months of booking your wedding you will be granted 50% of your deposit. Cancellations less than 6 months before your actual wedding, no refund will be given. Right of Entry: The Estate House Grounds are available only for wedding ceremonies, no other private party usage permitted. Receptions and weddings are permitted at the Tasting Room area. Limited use of Estate House is allowed, but will be restricted to pre-determined members of the Wedding Party only. Guests of the wedding party are not permitted inside the Estate House. Restroom facilities are available at the Wine Tasting Room for your guests. The Estate House access is strictly restricted to the bride & grooms’ dressing rooms & hallways leading to them. Access to the Estate House ends 1 hour after the ceremony and all personal items will need to be removed at that time. Insurance: Wedding Party must provide a Certificate of Liability Insurance with an occurrence coverage limit of at least $1,000,000 listing Maurice Collada Jr. & Cubanisimo Vineyards Inc. as Certificate Holders on the day of the event. Certificate must be received 7 business days prior to the event. Your Home Owners Insurance Agent can typically provide this. Parking: If Wedding Party expects over 50 guests, parking director must be present during the arrival period. The Wedding Party must provide the parking director. Oregon State Law prohibits the service of alcohol to any visibly intoxicated person. Cubanisimo Vineyards’ bartenders will not serve alcohol to anyone who appears to be intoxicated. No one under 21 is allowed to consume alcohol. Cubanisimo Vineyards is required by state law to check the ID of anyone who looks under 26. Cubanisimo Vineyards reserves the right to stop alcohol service if out of control drinking occurs. Examples include alcohol consumption by minors, consumption of unapproved alcohol, self-service by guests or unapproved vendors, consumption by intoxicated individuals, abusive or argumentative behavior by guests, damage to property, theft, or other inappropriate behavior. This policy is designed to protect you and your guests. Cubanisimo Vineyards is in no way responsible for the actions of any guest or client at any time. Cubanisimo Vineyards is not responsible for any illness, injury or death on or off the premises as a result of alcohol consumption or any other reason.